Over the past several months, the term “fake news” has become a household phrase. With the rise of social media and all it brings into our lives, it is a wonder that this phenomenon has taken so long to manifest in such profound ways. 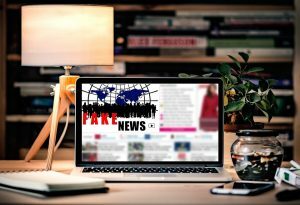 Many people are wondering how to tell real news from fake news, and why on earth people want to disseminate faulty information in the first place. As it turns out, there is plenty of motivation – both from a brand perspective and from a personal perspective. Today, we’ll talk about why the concept of fake news has exploded and why it is so hard to snuff out. Pinging networks with false news stories may seem silly at first, but for many, there is a clear motivator: money. Story after story has emerged on how various bloggers have started small fake news websites, only to watch them blow up in a short period of time. As the obnoxious and outlandish tend to go viral on social media, so do the websites being shared. The primary method of revenue for these websites is ad revenue, which doesn’t seem like it’d make that much – until you consider that some of these pages are shared millions of times. Some of the more notable fake news sites have reported AdSense earnings in excess of $10,000 per month, which is a pretty profitable venture for what usually amounts to an hour or two per day of time worked. Even if you factor out the money concept, another reason why some are motivated to spread fake news is because they enjoy sowing disinformation. If a particular blogger or site owner wishes to whip one group or another into a frenzy, it’s very easy to do by creating outlandish claims and then circulating them on social media. This makes it easy to generate outrage and anger over something that might not even exist, but it can also help weaken another point of view by default. Many people view political and ideological debates as mere means to an end, not caring how they arrive from point a to point b. Because of this, fake news can be propagated to help further that process. There is a certain morbidness about fake news for some that results in them merely spreadin g it because they like to watch the world burn. Some see it as a social experiment; how many people are willing to believe one outlandish thing or another, and how far will it spread? While this can be an interesting experiment to run, it does real and lasting damage by convincing large numbers of people of something that simply isn’t true. Nevertheless, you’ll find plenty of “satire sites” where the disclaimer is neatly tucked at the bottom or on a separate page, providing the distributors of fake news with a moral cop-out of sorts by saying that they disclosed that it wasn’t real. Ultimately, fake news is allowed to spread because people do not do the due diligence of researching claims. Social media has made this more potent than ever before, and many people are all too willing to take advantage of it. Whether it’s because of money, entertainment or sheer ideological motive, the dynamic of fake news is a powerful force that many enjoy pinging networks on social media with – and it’s not likely to stop anytime soon.